Green Blast Naked 100 Salt E-Liquid 30mL offers a literal blast of fresh fruit flavors for your enjoyment in low output pod style vaporizers. Naked 100's Green Blast combines juicy honeydew with the tartness of fresh kiwi and the crispness of a granny smith apple to create a delicious liquid that you won't go long without picking up again. It is carefully crafted from start to finish in clean lab facility using a 50/50 VG/PG blend for great performance in pod devices. They use only the highest quality ingredients around and a keen attention to detail to deliver to best flavors possible. You can try Naked 100's Green Blast Salt E-Juice in 30mL child-resitant bottles with strengths including 35mg or 50mg. 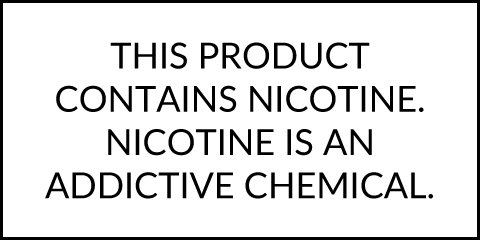 Please note Naked 100 Salt E E-Liquids are manufactured with high amounts of a salt-based nicotine, therefore they should not be used in high output sub ohm tanks or dripper atomizers. These liquids are intended for use with low output Pod based devices like the Suorin Drop or Boulder Rock.